WE'LL HANDLE ALL THE DETAILS. YOU SIT BACK AND RECEIVE THE COMPLIMENTS. 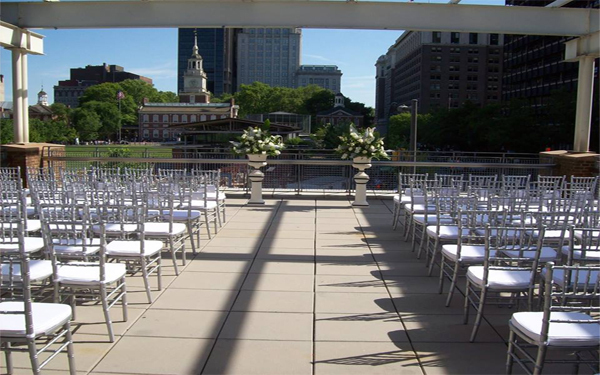 The Liberty View Ballroom is located on the mezzanine level of the Independence Visitor Center in the heart of America's most Historic Square Mile. The contemporary space is ideal for all types of events.